Note: These links generally refer to XML files, which may not display properly in every browser. You may wish to download the file instead, using either a right-click or option-click on the link to save the file to your disk. All the examples below validate against version 2.0RC4 DAVEfunc.dtd (or later). See the Schemas page for more information on the latest DTD. 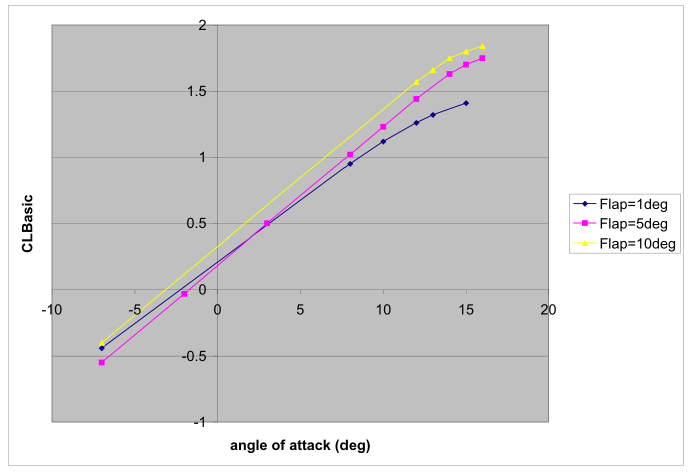 Coefficient of lift (non-dimensional) versus angle-of-attack, deg. Example file for DAVE function table format. This example is the simplest version. author's xns address to e-mail address. Added date to modificationRecord per DTD 1.9 change. <reference refID="REF01" author="Raney, David L." title="F-19A Basic Aerodynamics Model"
<reference refID="REF02" author="Buggati, Richard W." title="F-19A Rotary Aerodynamics Model"
<reference refID="REF03" author="Aviation Leak &amp; Space Tautology"
title="F-19A Falling Short on Design Performance Numbers" accession="Vol. 45, Number 12"
This three-D ungridded table example comes from Geoff Brian of DSTO. It is a randomly distributed set of points in three-space representing yawing moment coefficient as a function of angle of attack, angle of sideslip, and yaw control deflection and is intended only as an example of a completely nonorthogonal (ungridded) function definition where each dependent data value description includes the independent coordinate values. While DAVE-ML is really intended to be used to model specific aircraft (the assumption is everyone already has their own atmosphere models, EOMs, etc.) my colleague Ralph suggested a standard atmosphere model, based on a set of tables, might be a good example. Voilá! Includes 42 verification check-cases. 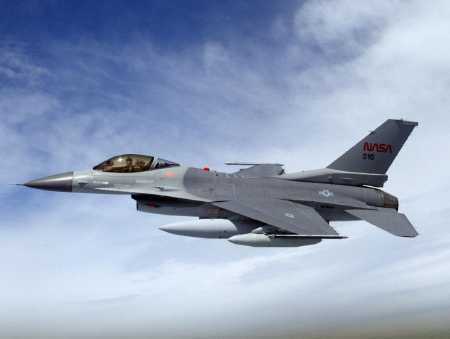 Available on this website is an F-16 non-linear subsonic aerodynamics model based on NASA wind tunnel tests  and partially duplicated in the Stevens & Lewis textbook  . This data was compiled into a Matlab script by Garza & Morelli in a NASA technical memorandum  . The DAVEtools utilities have been used to generate a Simulink realization from the DAVE-ML file, and compared identically to the Matlab version by Morelli. It has 18 tables, 51 variables, and 744 points in a 154 KB Unicode file with 2,712 lines. This version was rewritten slightly on 28-Nov-2006 to sort the variableDefs into the proper sequence. 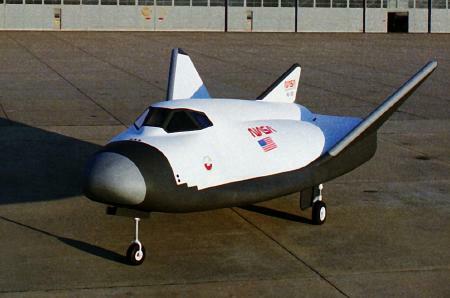 Available on this website is a model of the HL-20 lifting body aerodynamics which was used to perform approach and landing tests in the NASA Langley Visual/Motion Simulator in the early 1990's and in the NASA Ames Vertical Motion Simulator in 2001. It is a more complex model than the F-16, handling supersonic and subsconic aerodynamics, and includes checkcase data for auto verification. It has 168 tables, 361 variables, 6,240 points in a 1.2 MB uncompressed file with 22,299 lines. It is an 88 KB GNU-zipped download or a 79 KB PC-zipped download. Complete documentation of the HL-20 simulation, including control laws, is available in  . Nguyen, L. T., et al. 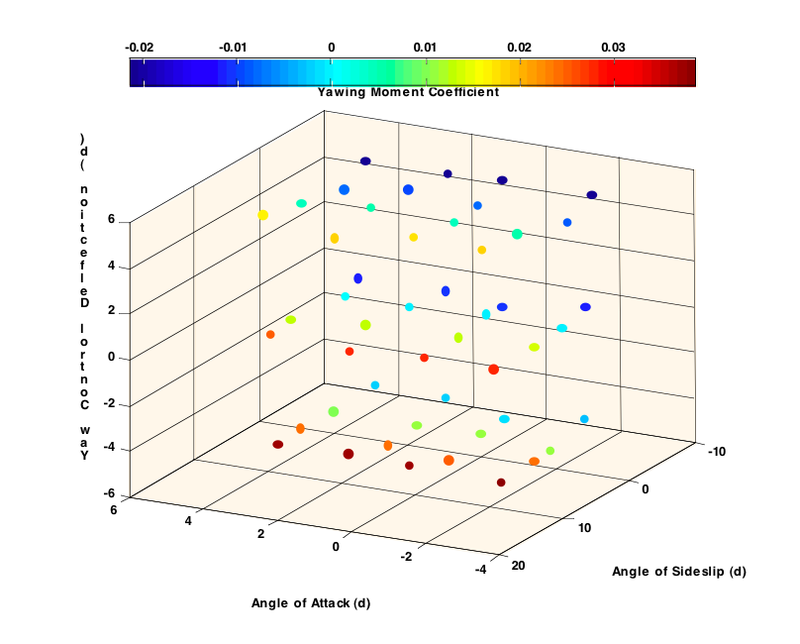 : Simulator Study of Stall/Post-stall Characteristics of a Fighter Airplane with Relaxed Longitudinal Static Stability. NASA TP 1538, 1979. Stevens, Brian L.; and Lewis, Frank L.: Aircraft Control and Simulation. Wiley & Sons, 1992, ISBN 0-471-61397. Garza, Fredrico R.; and Morelli, Eugene A.: A Collection of Nonlinear Aircraft Simulations in MATLAB. NASA TM-2003-212145, January 2003. Jackson, E. Bruce; Cruz, Christopher I.; and Ragsdale, W. A.: Real-Time Simulation Model of the HL-20 Lifting Body. NASA TM-107580, July 1992. http://dscb.larc.nasa.gov/DCBStaff/ebj/Papers/TM-107580.pdf.